The 118-storey International Commerce Centre, comprising 2.5 million square feet of grade-A office space atop MTR Kowloon Station, is located at the heart of Hong Kong's transportation, as well as future cultural and commercial hub. 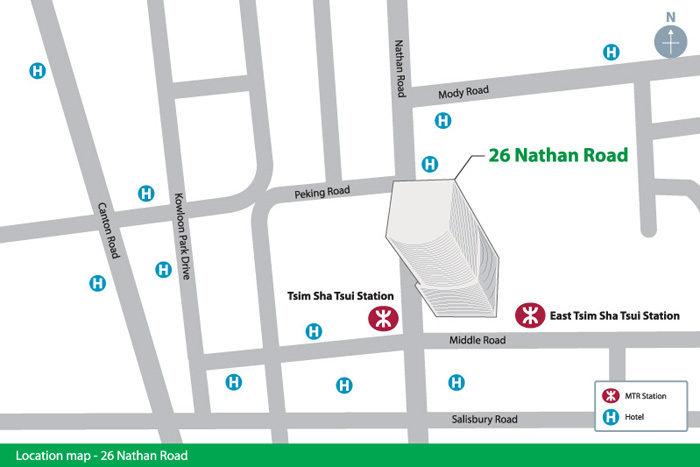 26 Nathan Road comprises a 19-storey office tower and a 6-storey shopping arcade. 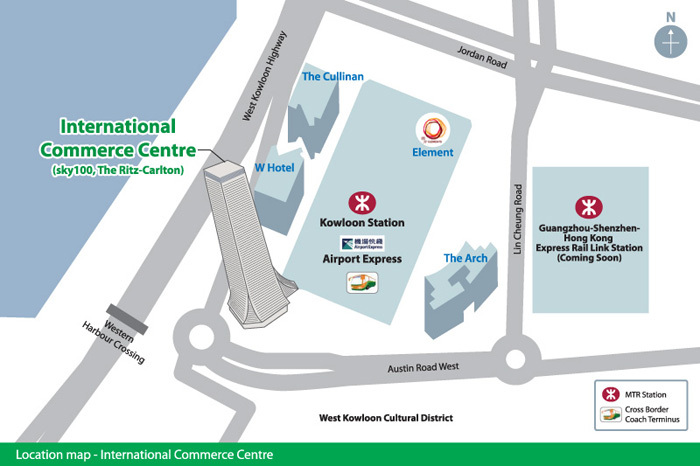 It is ideally situated at the heart of Tsim Sha Tsui, the premier commercial, cultural and tourist area on the Kowloon peninsula. The building also enjoys a spectacular 180-degree panoramic view of the Victoria Harbour. 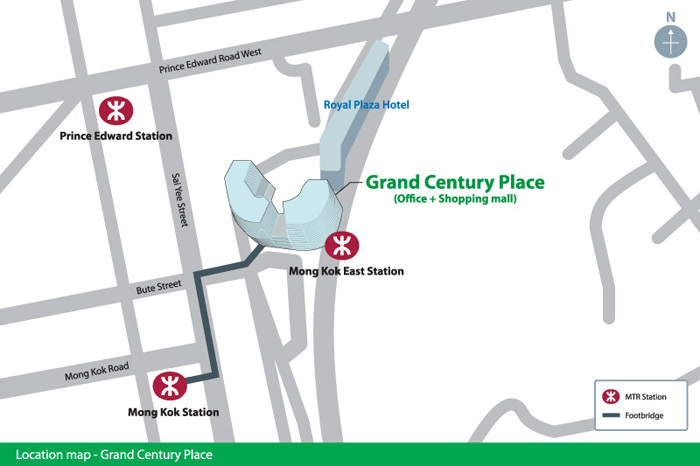 Grand Century Place in Mong Kok is a commercial complex comprising two 11-storey office towers, a large retail podium and the renowned Royal Plaza Hotel. 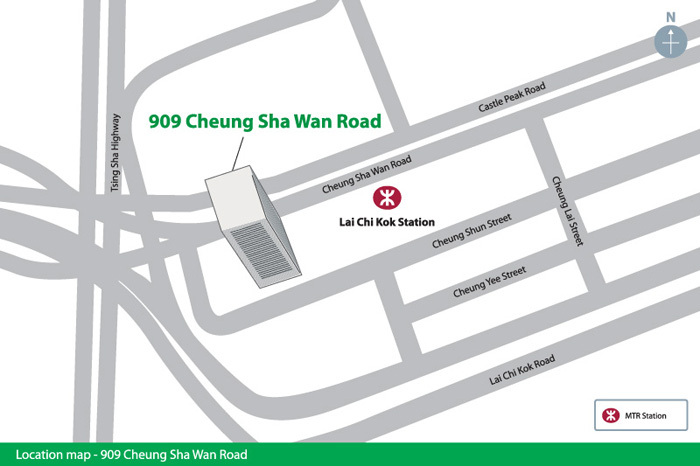 909 Cheung Sha Wan Road is an advanced and unique grade-A office building includes award-winning roof garden and in-house F&B outlets that support tenants’ business with relaxing and catering facilities. It is an integral part of the Millennium City development - an innovative office development by the Group, that has made Kwun Tong a new commercial centre in the heart of East Kowloon. Millennium City 5 is the Group's premier intelligent commercial-retail complex in its Millennium City Development. This innovative office development has made Kwun Tong a new commercial centre in the heart of East Kowloon. Millennium City 6 is a remarkable new statement of an ultramodern intelligent building with advanced technology and outstanding architectural design. 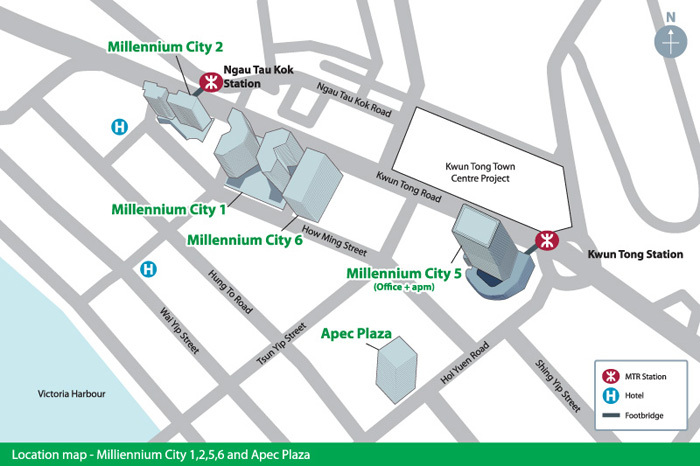 Apec Plaza is conveniently located in the heart of Kwun Tong commercial area, where facilities such as banks, shops and the trendy apm shopping centre are in close proximity.